You’re Terminated. How Do You Accept Credit Card Payments Now? The short answer: You don’t — until you acquire another merchant account. Termination is but one ordeal high-risk merchants face. If you’ve been placed in a high-risk merchant category, you’ve no doubt faced other ordeals in the business wars called high-risk ecommerce. Approval for your recently terminated merchant account was probably a long, drawn-out affair. The level of scrutiny may not have abated after you began processing credit card payments. Did you feel as though you were being watched like a hawk even before that first chargeback occurred? Now you’ve been terminated. You did nothing illegal, but chargebacks got out of hand… It doesn’t help to understand now how excessive chargeback levels cause the majority of canceled merchant accounts. You’re simply hoping to stay afloat and not to become another entry on the list of merchants who tried but failed to build a successful online business. Some good news is in order… You can find specialized payment processing services that cater to high-risk merchants. They’ll help you get back on track when it comes to processing credit and debit card payments. And there’s more good news if you’re a Canadian ecommerce merchant operating in a high-risk industry. 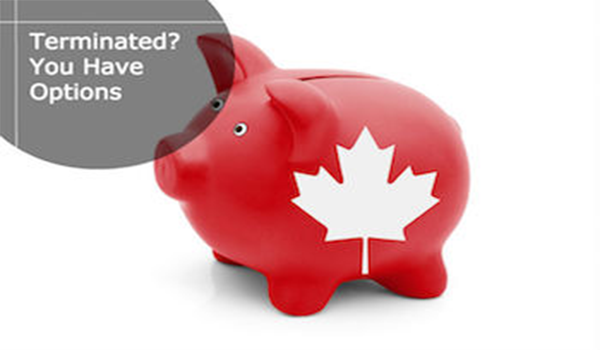 Canadian high risk merchant accounts really are available. The right high risk processing specialist will help you find domestic support if that’s what you want. Once your business is labeled “high risk” and you’ve been terminated, establishing a new merchant account with a traditional payment processor or acquiring bank may be next to impossible. That’s often true because traditional merchant account providers and bank underwriters don’t understand the complex business models executed by many online merchants. Even if you land a new traditional merchant account, your business may face high transaction fees, rolling reserves, volume limitations, and other restrictions. Working with a specialized payment processor can help you avoid some of those unnecessary limitations. Major benefits arise from access to a secure payments processing account at domestic rates. A specialized high-risk payment processor can work with you to make that possibility a reality for your business. High-risk merchants can maximize profits and realize other benefits through Canadian high risk merchant accounts. The domestic banks that offer such accounts have chosen to work to high risk merchants, and want your business. Canadian high risk merchant accounts offer cost-effective processing solutions when compared to offshore merchant accounts. Your chosen processing partner should carefully review your business model and only then match you with the most cost-effective processing solutions that meet your specific needs. That could include a Canadian high risk merchant account, helping you and your Canadian customers avoid cross-border and currency conversion fees. If future plans include expanding your business to more countries, you can add another type of merchant account later. Faster funding times (usually within 24 hours) can be expected when you’re set up with your own merchant account. Avoid processors who run your transactions through a joint account the way payment aggregators and some other processors do. Your operating funds may be slow to arrive. With your own account, funds are deposited directly into your bank account after settlement, not into the processor’s account. This reduces the risk of long-term holds and funding delays. High-risk merchant specialists understand the complexities of the payments industry and the unique needs of high-risk ecommerce businesses. One immediate benefit occurs when they work with the bank’s underwriting team to ensure your interests remain the focus during the account approval process, and later if issues arise. Be sure your chosen processor delivers ongoing benefits through a dedicated risk management service. That allows you to focus on managing your business rather than activities with the bank. A risk management specialist can take control of this process and ensure your organization reduces risk exposure over time. There are many companies offering payment processing solutions these days. When choosing the specialist you want to work with, do your research and focus on a few key characteristics. Paramount is choosing someone who offers a secure, reputable, and stable solution. Secure transaction processing via a PCI compliant gateway is the minimum requirement for any online business. In addition, merchant account offerings should include fraud tools, robust chargeback management, and good reporting for your processing account. In-house support is also ideal. Expect to be charged a fair rate, and be sure to avoid surprises by ensuring all fees and contract terms are disclosed up front. Try to find someone who doesn’t charge application or set up fees. Most important may be a specialist with comprehensive industry experience. Many companies have entered the high risk processing space in recent years. Choose someone who’s been around the industry throughout this growth, with proven account experience and a stellar reputation. For high risk Canadian merchants, why not choose to work with a processor that offers Canadian high risk merchant accounts?